Liberal Democrat leader Vince Cable outside the Houses of Parliament. The MP for Twickenham told talkRADIO’s Julia Hartley-Brewer: “We were able to air our views in a non-confrontational civilised way. “She is a courteous woman and easy to talk to and we were able to communicate. “There was sufficient interest in continuing and we had a meeting with our team and her team on Thursday morning. Anti-Brexit protesters outside the Houses of Parliament as Theresa May meets with party leaders to discuss future options for Brexit. The Liberal Democrat leader said there was a possibility Mrs May’s meetings with party leaders was a “tick-box exercise”. “I think it is a toss-up as to whether this is the beginning of serious negotiations or just a tick-box exercise on the government’s part,” he said. He added: “Strange as it may seem because we are on diametrically opposed positions on Brexit, I think we have something to offer her. “If she does agree to our proposal and we do have a People’s Vote, she has a 50/50 chance of winning it and she has virtually none of getting it through Parliament. “There is a possibly that we can help getting legislation through Parliament, if it is subject to a People’s Vote. Mr Cable described Jeremy Corbyn as being “unconstructive” during the Brexit negotiations because the Labour leader’s “best outcome is a mess”. “His role in this has been pretty unconstructive from the outset,” he said. “It is very clear that his best outcome is a mess and he hopes that would benefit the Labour Party and his revolutionary variant of socialism that would flourish best in conditions of chaos. “He has not got any particular interest in being constructive and that is why the smaller opposition parties and his own backbenchers are quite happy to work with the government without his collaboration. 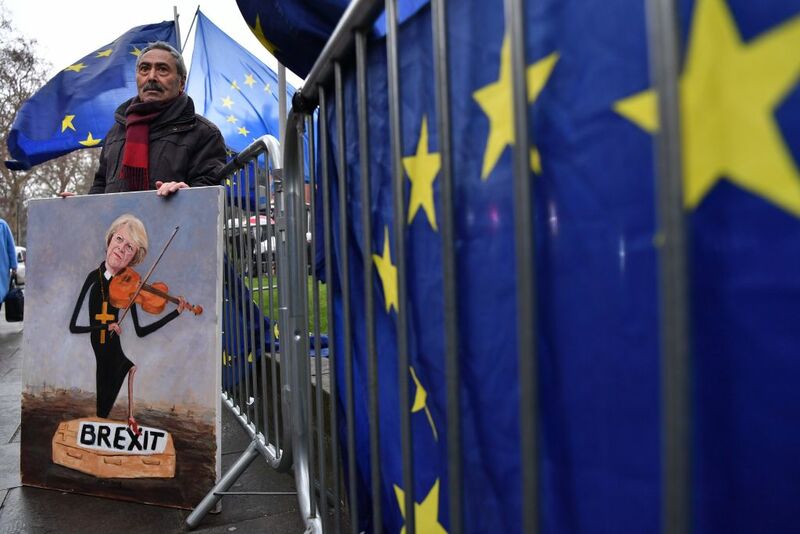 “It would be much better – and I think it would suit the mood of Labour MPs and the Labour voters – if we did proceed to a People’s Vote. “There are key people in the Labour movement, like the Mayor of London, who have been very vocal on this subject.